The Realm Royale pro sheet is an updated list with the best pro settings from professional Realm Royale players, popular Twitch streamers and content creators. We are tracking the best esports organizations and their teams, to make sure our list is up to date with the roosters. The list will include the best video settings (like graphics, resolution, aspect ratio and so on), the best gear setups (including what monitor, mouse, keyboard, gaming chair and headset the pro’s use) and mouse settings (DPI, sensitivity) as well as keybinds. If you see any missing or incorrect information, please leave a comment on this page or contact us here or on Twitter. This will help us keep the list up to date and is greatly appreciated by us and the community. 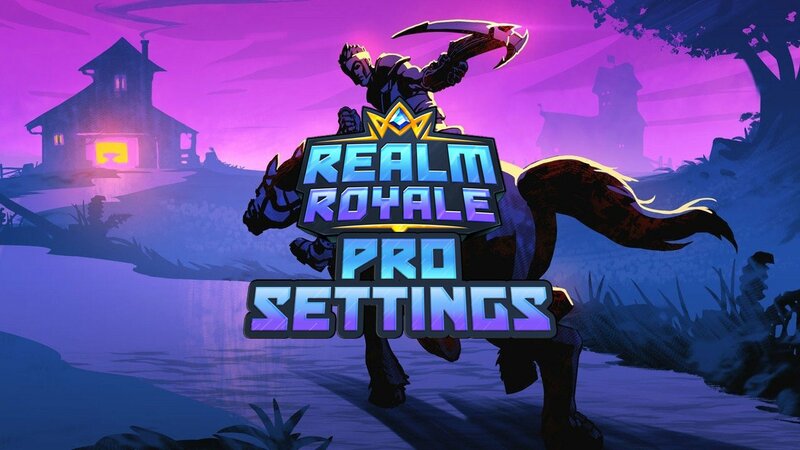 If you are looking to increase performance and boost your FPS, please see our Realm Royale performance guide. Getting inspiration and comparing your settings to pro players, can help you improve your own gameplay. For example, we often see a lot of people using a very high mouse sensitivity, which in turn makes it hard to make fine adjustment when aiming. Another thing is that some people just max out their resolution and graphics settings, sacrificing their frame rate. If you want to play competitive, we recommend you to optimize for FPS instead of graphics instead. Try out different settings until you find some settings where you will have a high stable FPS. The specific graphics settings depends a lot on your PC specs.